Spending time doing repetitive and stressful activities with your hands, wrists, and elbows will certainly increase the chances of injury. One common injury is tennis elbow. Tennis Elbow (lateral epicondylitis) is a condition that affects the nerves in the elbow and causes joint and muscle pain in the elbow. This condition is called tennis elbow because tennis players are typically the people who suffer from this condition based on how they hit the ball. Every time they hit the ball, they twist their arms to create a spinning effect on the ball so that it will hit the ground in a certain way. That particular twisting motion occurs every time they hit the ball in a game and in practice, which is a significant amount of arm twists. Repetitive motions like twisting the arm contribute to overuse of the muscles and that is what creates the foundation to tennis elbow. 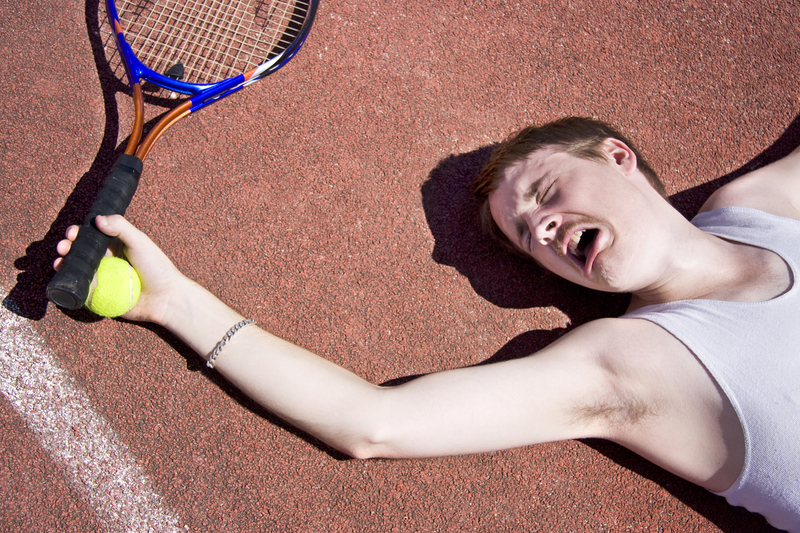 Unfortunately, tennis players are not the only people that are affected by tennis elbow. Tennis Elbow can also affect industrial workers and individuals who participate in strenuous exercises such as those practiced by with Crossfit and other cross training classes where ropes and bands are frequently used. The common factor between tennis, industrial work, and exercise is the overuse of the arm. If tennis elbow has caused pain or discomfort in your daily activities, a chiropractic adjustment may help to relieve the pain. Call your local chiropractor to schedule an appointment today. To find a chiropractor near you, click here. It is common for doctors to recommend surgery after being diagnoses with tennis elbow. In several cases, doctors will prescribe opioids, muscle relaxers, or nerve medication to help relieve the pain. Unfortunately, prescription drugs will only mask the pain, but they do not help the healing process. How Does Chiropractic Care Help Tennis Elbow? Many chiropractors consider tennis elbow to be a repetitive stress injury (RSI). Since the main cause of tennis elbow is through repetitive motions with the arm, it is common for chiropractors to treat this condition with specific chiropractic adjustments. To ensure that there are no other conditions associated with the elbow joint or the bones, a chiropractor schedule x-rays of the arm, either at their office or another facility. A MRI scan is also useful to help identify any muscle and nerve conditions that may have developed from tennis elbow. Chiropractic care is specific to joints in the body and not many patients think of an adjustment to parts of the body other than the back. However, since the nerves of the body extend from the spine and the central nervous system, certain adjustments in the back may help the nerves that are affected by tennis elbow to communicate better with the surrounding area of the elbow. Also, chiropractors may offer a soft tissue massage and recommend stretching exercises to help with blood flow and nerve communication to help relieve pain in the elbow. Depending on your condition and level of pain, arm stretches may include bands to increase grip and forearm strength to prevent any further injury. Arm massages will often reduce the muscle tightness and sourness, which may be helpful when searching for pain relief. Rest is essential with treating tennis elbow. Most people attempt to get back to their regular activities too soon and often reinjure the elbow. Reinjury of the elbow may take longer to recover after second injury since the nerves and muscles are still sensitive to repetitive motions. Every situation is different. That’s why most chiropractors take an individual approach to the treatment of each patient. Finding relive from tennis elbow pain is the main goal for the patient, and chiropractors understand that. If you are experiencing pain from what you think may be tennis elbow, your local chiropractor may be able to help. Call your local chiropractor to schedule an appointment today.